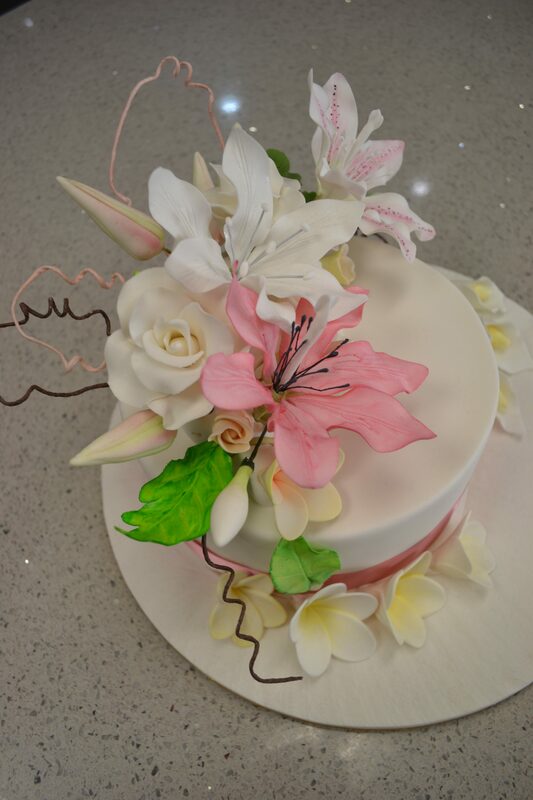 Sugar flowers are just beautiful to make and add an extra quality to your cake. Learn with Jackie how she makes these stunning flowers. Jackie will show you the various steps to achieve these flowers. From the cutting of the petals and leaves, veining and drying. Learn the different methods of adding colour and Jackie will share with you some of her learnt skills over the last 30 years. Learn about storage and how to store for success. Use Jackies easy techniques in taping and arranging the flowers. You may never buy a shop bought sugar flower again. 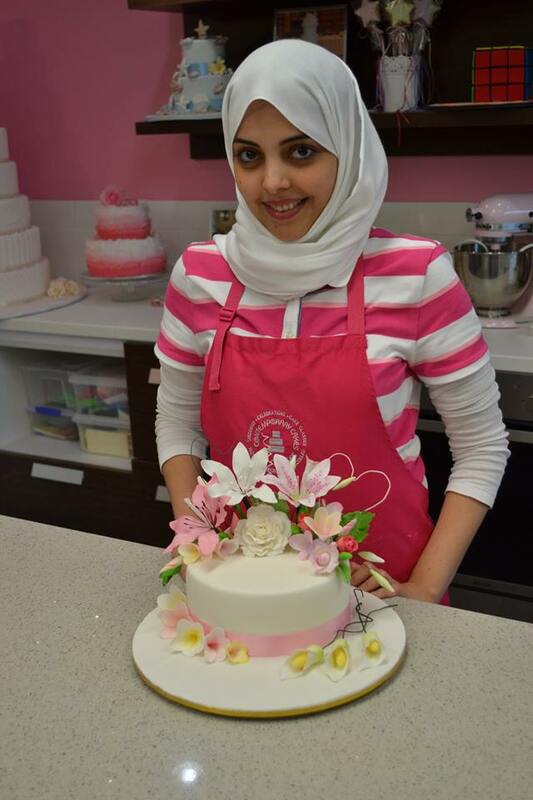 In this 2 day class, you will make and take home an arrangement of sugar flowers. 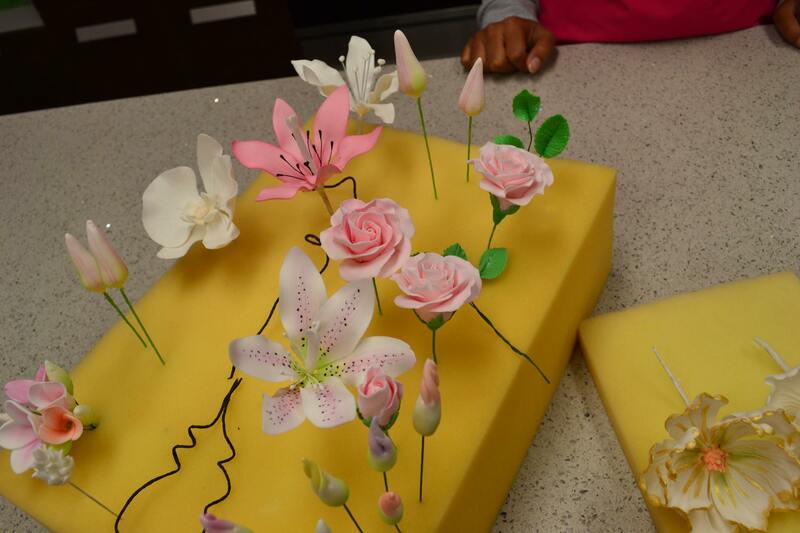 The flowers made will be roses, lilies, calla lily and frangipanis and assorted leaves. Flower handouts folder, with step by step instructions, are provided for you to take home. 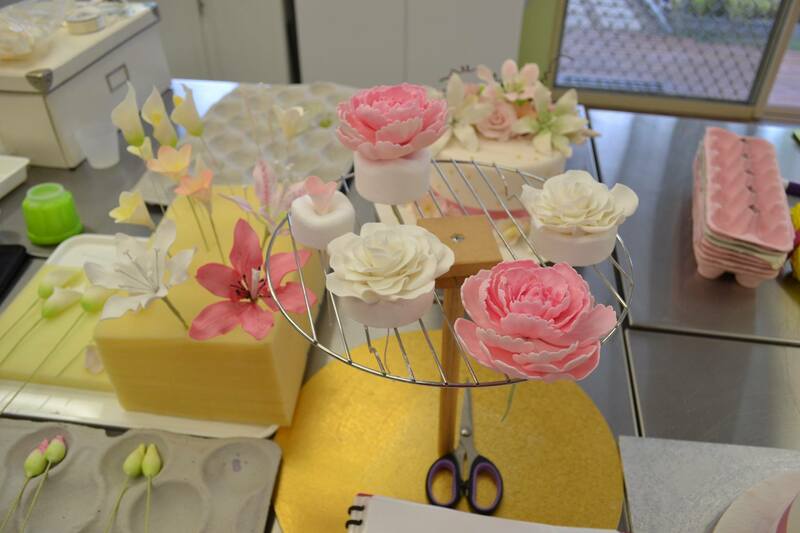 You will learn how to make your own sugar flower paste in this class, to take home. A light lunch will be provided and refreshments. Please wear comfortable enclosed shoes. The flowers made, will be displayed on a dummy cake to take home.